I've seen a variety of cars over the past few years. It started with random internet searches for keywords and blossomed into an obsession with the launch of DT in 2012, but I've gotta admit..I've never seen one of these before. Really. I've seen Mazda 3 wagons, Mazda 6 wagons, but never have I found one of these oddball Mazda 1800 wagons from the Luce lineup. 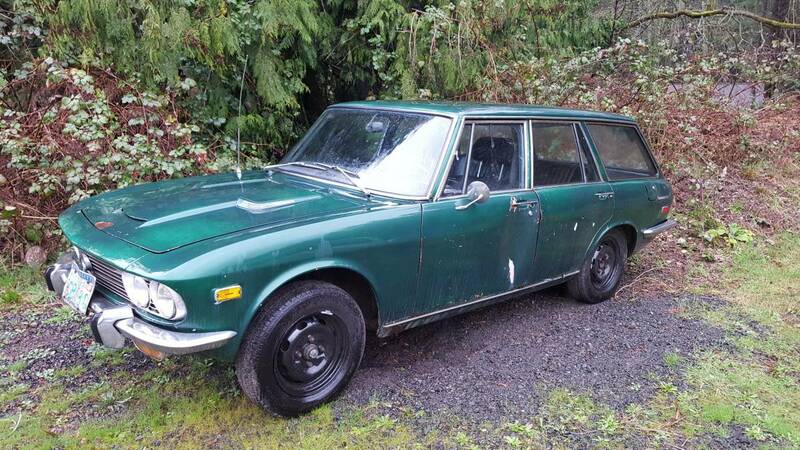 Find this 1972 Mazda 1800 Wagon offered for $2000 near Seattle, WA via craigslist. Tip from Steve L.
1972 Mazda 1800 wagon. 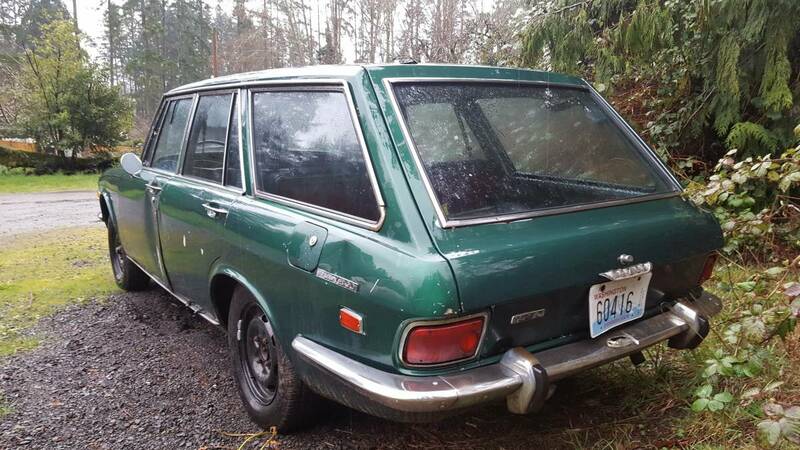 Extremely rare, only sold in Washington, Oregon and Idaho between 1970 and 1972 Mazda 1800 wagon. Runs and drives but the body is rough. 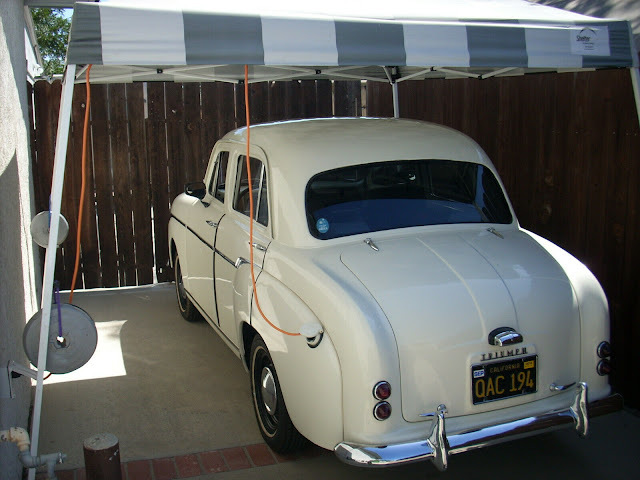 I rebuilt the carb, brakes, steering, transmission, replaced u-joint and repaired many things that were not working. Vehicle is a head turner even with the cosmetic issues. It is rusty and dented, some rust holes, interior is rough, weatherstripping is bad but it is still here and rare. Car was designed by Giorgetto Giugiaro of Italy. It was low and sharp, looking more like a contemporary BMW Bavaria than any of its smaller Mazda companion products. To accommodate the taller 1800 engine the bonnet on this model has a slight bump in the middle with an air inlet on the leading edge. An estate (station wagon) was also added in April 1967, with the same engine as the sedan. The number of Mazda 1800 automobiles imported into the US are as follows. That's actually kinda pretty. The curve of the roofline in profile is especially nice. And the small, low tail lights really work well with the broad backlight. I like. Gal friends Dad had one they seldom drove it as they had a big Imperial that was a nice ride and gas was cheap in the early 70's, Rotarys out sold these as few of these made the streets. Am I reading the copy correctly? This is one of zero wagons imported in 1972?